ILVA is starting to take a hold in the UK, opening its third store in the UK recently in Gateshead (adding to the Manchester and Gateshead stores). Sadly, you have to visit to buy, with no online shopping – however, you can check out the better items online, like this Casa Lamp. 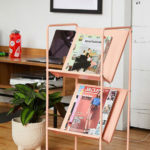 A modern lamp, but with influences from the modernist movement of 80 years ago – the simplicity and the straight lines. 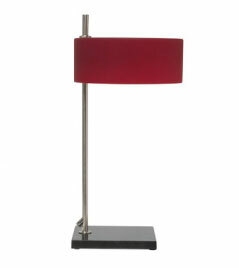 The lamp is made of chrome and red glass and is available as either a table lamp (pictured) or a floor lamp. Both incredibly eye-catching. The table lamp retails for £78 and the floor lamp comes in at £98.